Revitalising Mask not only revitalises dull, blemished and sunburned skin but also minimises pores at the same time. Daily moisturisers and oils help to protect, nourish and balance the skin. It’s also ideal, however, to use a mask once or twice a week as a treatment to revitalise, rebalance and help the skin to naturally renew cells. 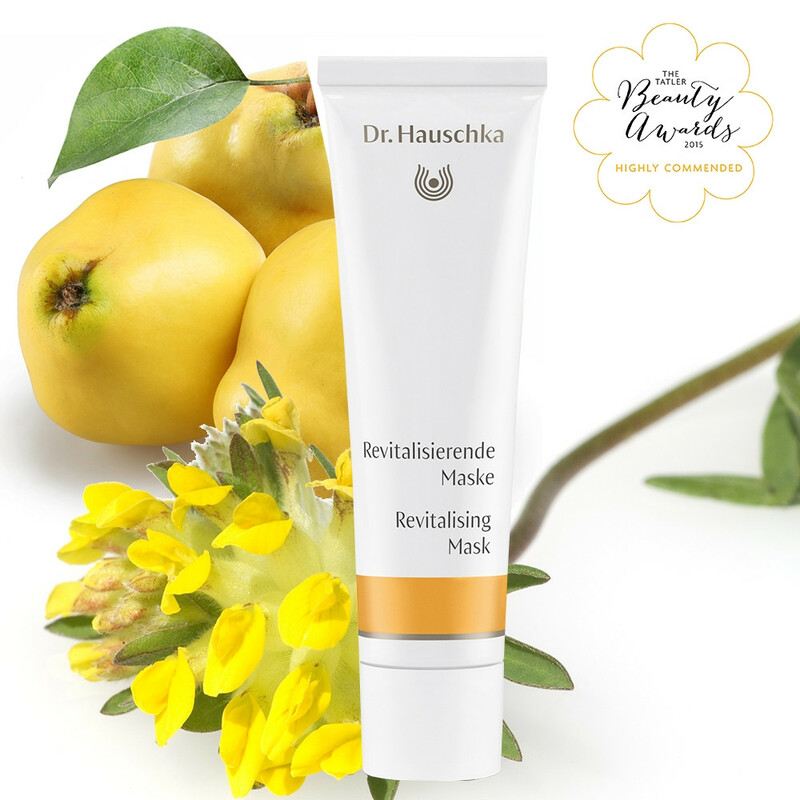 Revitalising Mask fully cleanses and sooths the skin, rejuvenating dull, blemished and sunburned skin, reducing pores and redness, and leaving skin evenly-toned and radiant. Great for skin with enlarged pores. Clarifying Chamomile, Anthyllis and Quince work alongside nourishing Jojoba, Apricot and Wheat Germ oils for the ultimate skin pick-me-up! Skin Type: For all skin types, especially blemished skin or those with enlarged pores. Application: Once or twice each week, apply a generous amount of Revitalising Mask to the face (including eye area), neck and décolleté, if desired. Remove after 20 minutes with a warm, damp cloth. Tip: Use Revitalising Mask as a day cream if your skin is blemished or if your skin is prone to redness. Ingredients: Water (Aqua), Pyrus Cydonia Seed Extract, Alcohol, Glycerin, Anthyllis Vulneraria Extract, Prunus Armeniaca (Apricot) Kernel Oil, Simmondsia Chinensis (Jojoba) Seed Oil, Borago Officinalis Extract, Cetearyl Alcohol, Arachis Hypogaea (Peanut) Oil, Chamomilla Recutita (Matricaria) Flower Extract, Bentonite, Triticum Vulgare (Wheat) Germ Oil, Triticum Vulgare (Wheat) Bran Extract, Daucus Carota Sativa (Carrot) Root Extract, Propolis Wax, Fragrance (Parfum)*, Limonene*, Geraniol*, Linalool*, Citronellol*, Citral*, Eugenol*, Farnesol*, Lysolecithin, Xanthan Gum, Chlorophyllin-Copper Complex (CI 75810).